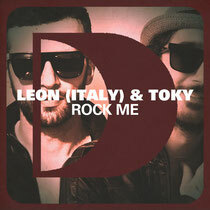 This new partnership between Leon (Italy) & Toky is the latest in a string of new production talent that has been emerging from Italy over the past couple of years. With individual releases on labels such as Noir, Cecille, Electronique, Aparrell and NM2 underneath their respective belt, their production credentials have risen over the past couple of years marking this collaboration as a possible one to watch for 2013. They are beginning to carve out what is a unique, soulful and electronic sound and this upbeat offering is packed full of part attitude and early-90s vibe. Its catchy layering of looping melodic bassline, coupled with experimental ‘80s video game inspired sounds, drive their way through to the soulful yet animated vocal hook. The 909 dub mix takes it just a little bit darker with its distorted vocals and deeper bassline, yet the build ups and lyrical synths still give it that early-90s Italo house flavour. Have a listen below, it's out March 4.